Both the Audi Allroad and Volvo XC70 are excellent choices for buyers interested in a well designed, stylish SUVs and they aren’t as imposing as other crossover models on the road. These models are both quite luxurious wagons and contain numerous convenience features, even on the base trim. The 2014 Audi Allroad Premium trim comes with automatic climate control, 4-spoke steering wheel with audio controls, leather seating surfaces, and power-touch windows. The panoramic sunroof is standard equipment, and the rear seatbacks are 60/40 split-folding. For 2014, Bluetooth and iPod interface were added as standard features. The 2014 Volvo XC70 3.2 trim features a flat-folding front passenger seat, heated front and rear seats, 3-position memory driver’s seat, electronic climate control, and a three-split rear seat design. Like the Allroad, the XC70 comes with a panoramic sunroof. The model received significant upgrades for the 2014 model year with a new tubular appearance, improved ambient lighting, and new options such as a heated steering wheel and windshield. The 2014 Allroad is equipped with a 2.0L turbocharged engine that delivers a total of 220 horsepower, an increase of nine horsepower from last year’s model. The engine outputs 258 lb-ft. of torque at 1,500 rpm. The vehicle can accelerate from zero to 60 mph in about 6.5 seconds, not bad for a crossover. The Volvo XC70 has a 6-cylinder engine capable of producing 240 horsepower and 236 lb-ft. of torque at 3,200 rpm. The Allroad’s fuel economy is rated at 20mpg city and 27 mpg highway, while the XC70’s is rated at 18/26. The latter vehicle is slightly heavier and does not accelerate as quickly as many competitors in its segment. 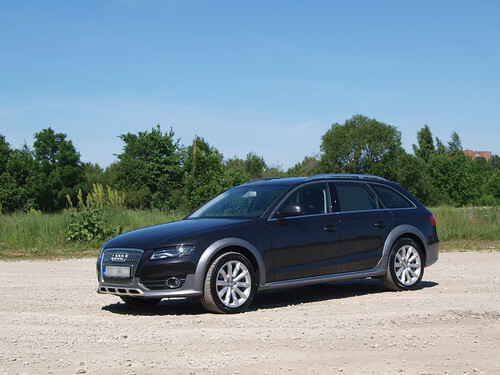 The Allroad has smooth acceleration once the turbocharger kicks in. The XC70 is perhaps a bit more sluggish, even with its somewhat larger engine. However, the XC70 handles very smoothly at high speeds and is extremely comfortable from a passenger point of view. 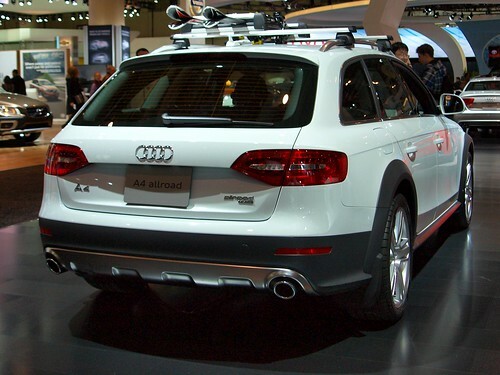 The 2013 Audi Allroad comes with a full set of front airbags, thorax side airbags, and head curtain airbags. The model features a safety belt reminder system, electronic stability control, and the LATCH system for child safety. The power central locking system is also standard equipment. The Volvo XC70 has a full set of airbags, head restraints for all seating positions, energy-absorbing crumple zone technology for the interior as well as the front exterior, and daytime running lights. The driver alert system that includes lane departure warning and pedestrian detection is available as an option on both the base and uplevel trim. The XC70 also comes with standard exterior safety features such as fog lights and side positioning lights. Both the Audi Allroad and Volvo XC70 have a full safety sensor system connected to the driver information center. The Allroad has an anti-theft system that includes a panic button, and the Volvo XC70 features theft-protected locks, engine immobilizer, and the Volvo roadside assistance package. The base model Audi Allroad has an MSRP $40,700 with all-wheel drive standard, which is an $1,100 increase from 2013. However, the model adds a new music interface, HomeLink universal garage-door opener, and a new driver information system. The top line Prestige model starts at $49,200. 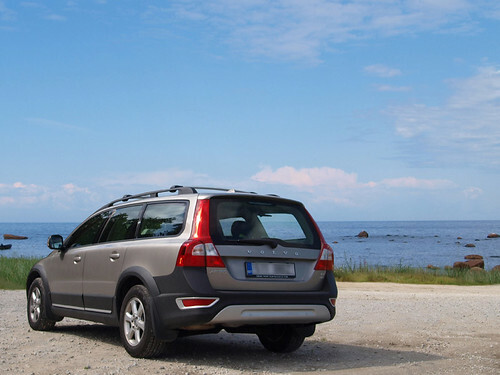 The Volvo XC70 starts at $34,500 in front-wheel drive. However, this price goes up to over $45,000 when all-wheel drive and all of the optional package equipment is included.